We can transform an ordinary home into your dream home. You have seen the concept of real estate agents and construction professionals teamed up on HGTV. Now you can experience it with Evolution. Our agents are trusted advisors that simplify the process of buying or selling a home. When you work with an Evolution agent you get expert representation and access to our in-house design and construction team. Let's face it...most homes on Long Island need work. Whether it's a fresh coat of paint or a complete renovation, we will guide you from concept to completion. Buying, Selling, Renovating. Simplified. Welcome to home of Long Island’s most innovative and experienced contractors, RJD Construction Inc. As fully licensed contractors in Nassau and Suffolk Counties, RJD Construction has been servicing the whole New York area, the boroughs as well as long Island for over 28 years. Conveniently Located in Smithtown, RJD Construction handles all phases of residential, commercial and home renovation, providing a myriad of services to fully customize, design and improve your property. Our Integrity is based on the performance that our contractors bring to the forefront. By providing quality service and affordability for customers who are looking to improve the livelihood of their homes and businesses, RJD Construction has been a top competitor in the field for many years by doing what they love to do, assisting home owners and the like in constructing their dreams. Our team of skilled sub-contractors are the best in the business, having the experience that spans all areas of home renovation which includes but is not limited to: Custom Home Design, kitchens, bathrooms, windows, roofing, siding, landscaping, additions, dormers, home construction and more. There is no job too big, or too small that we cannot handle, whether it is interior or exterior, the New York home renovation specialists, RJD Construction Inc. can assist you in meeting your demands. We back our experience with the guarantee that we get the job done every time so there are no worries that your home or business will be in disarray. Being fully licensed and insured contractors we are the excellent and reliable choice for your renovation needs. Get your needs met at a more reasonable and affordable price today by calling New York’s finest home renovation experts, RJD Construction and allow us to assist you in your endeavors. Loridon Builders and Remodelers is located in Bayport, New York. All our services are guaranteed and delivered professionally. Rest assured that your needs will be met. Complete satisfaction is our goal. Loridon Builders and Remodelers is a General Contracting Company that specializes in all areas of home improvement services. We provide a team of professionals capable of tackling the most demanding construction projects. We have the ability to meet aggressive schedules with the industries best professionals, subcontractors and staff. We work closely with our clients to determine their needs and provide the leadership necessary to ensure a successful project. It's easy to understand why over 90% of our business is from repeat customers. 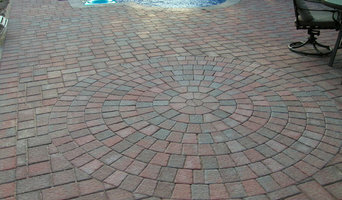 We fully guarantee the quality and craftsmanship of our work. Our materials come from well established suppliers, who stand behind their product. With guaranteed on-time delivery our customers rest assured that their projects will be completed professionally and on schedule. Loridon Planning and Design Corp President, John Geronimo, has over 17 years of experience in the Home Building & Remodeling Industry. Integrity and commitment are often overstated in the construction industry today. We do more than talk about the concept, we guarantee it. From the beginning, each client works with the Owner, who is dedicated to providing the best service and products. Bestway is the Exclusive Distributor of Superwall Basement Finishing System In 2006 Bestway Basements a Long Island, NY company was created to provide a better alternative in the basement remodeling market. After hundreds of basement remodels, other system shortfalls, thorough analysis, research and engineering, the Superwall Basement Finishing System was created. Superwall was featured at the 2013 Remodeling Show in Chicago, IL and was selected for special recognition as one of the most innovative and best products of 2013. Go to superwallbfs.com for more info. WHY BESTWAY BASEMENTS PRICE – Bestway’s motto ” The BEST solution at the BEST price guaranteed” is real. We promise to beat any other written system price. WATERPROOF & MOLD PROOF – The entire project consists of non-organic materials. 99% of your competition will be drywall contractors the perfectly wrong solution. 75% of the basements we rip out are wet or moldy drywall. The rest will either be fiberglass walls that get ruined in standing water or cement boards that are non modular and require spackle tape and paint. INSULATED – The Superwall panel is R-10, closed cell, with zero absorption and a 100% vapor barrier. So every where you see wall is insulated. Not between studs with gaps. Most clients have no need for heat and that basement “smell” is gone. FAST & CLEAN INSTALLATION – Our wall panels go up in one or two days which results in the average basement takes 7 – 10 days, 2 – 3 WEEKS SHORTER than traditional construction. You wont be cleaning drywall dust from all over your house. MAINTENANCE FREE – Bestway Basements installs a completely no paint project. Superwall has multiple colors and textures and ceilings, floors, pole wraps and trim are 100% washable. 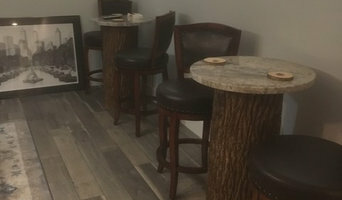 SOUP TO NUTS – Bestway handles all aspects of your project, from design to installation, which eliminates you having to spend time and money coordinating trades. We have clients that have literally gone away on vacation and come home to a new basement. Arc is focused on quality, period. We value customer relationships and pride ourselves on our attention to detail, use of quality materials and timely execution; which has earned us a superior reputation and distinction in the field of construction management. Irish artisans at their finest with Irish hospitality to go along with it. With a supreme attention detail and an owner/operator with old world training, all of Keenan Custom Homes projects are set apart from a standard construction company in the supreme attention to detail. Padraig can often be found at his restaurant, Shandon Court in East Islip. General, or construction contractors, are often known as project managers. They oversee the entire remodeling or new home construction project and facilitate all day-to-day tasks that move it toward completion. A Commack general building contractor will work with your architect to review plan as you build a house and ensure everything is in place before work is started as well as arrange for permits and necessary inspections. While good local home improvement contractors in Commack will have the skills to handle certain tasks onsite, such as carpentry, he or she is also responsible for hiring subcontractors for the majority of jobs, such as electrical work, painting or plumbing. In addition, the general contractor should be on-site regularly to inspect the progress and resolve issues. Here are some related professionals and vendors to complement the work of general contractors: Architects & Building Designers, Interior Designers & Decorators, Landscape Architects & Landscape Designers, Kitchen & Bath Designers, Specialty Contractors. Home remodeling contractors are a must for successful completion of a renovation. Because of this, it's essential that you do your homework before deciding on the right general contractor in Commack as you remodel or build a house. Inspect bids carefully. Was it ready when the contractor promised it? Was the bid for building a home unusually high or low? Each of these things can be very telling: A late bid may reflect timing standards, and an off-the-mark bid could be code for a pricey premium or a deliberate underbid to score the remodeling job. You should call references, carefully read reviews and visit completed projects in Commack, NY to see if they’re what you expect for your job. Once you do secure your local Commack contractors, read the contract very carefully to be sure everyone is on the same page. Find a Commack contractor on Houzz. 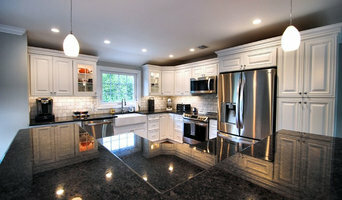 Narrow your search in the Professionals section of the website to Commack, NY home contractors. You can also search for photos in Commack, NY and contact the Commack general contractor who worked on the project.